Classes, term papers and research projects. Job interviews, volunteering, internships and hanging out with friends. College life is incredibly demanding. If you’re in a student organization or on a sports team, it’s even busier. And if you’re in charge of raising money for that club or team, how do you find the time? Campus Causes connected with Hannah Rudin, a four-year team member and the squad’s fundraising chair, to learn more about the Wild Roses and their success with the platform. Campus Causes [CC]: What’s it like to be a member of the Roses? Hannah Rudin [HR]: Everyone is full of love and support for each other and the sport. We push ourselves incredibly hard in practices and workouts, and we do it for each other more than anything else. I have played every semester since coming to Cornell, so it’s been the one constant of my college experience. We practice six to 10 hours per week and have four or five tournaments per semester, so we spend a lot of time together and everyone on the team is committed to what we do. We’ve got some incredibly goofy people who also happen to run really fast and jump really high! CC: That’d make a pretty cool tagline for the team! So, before Campus Causes, what kinds of things did the Roses do to raise money? HR: Last spring, a local restaurant donated 15 percent of each purchase when someone mentioned the Roses. During my freshman year, one of the girls baked and sold a bunch of bread. We sell Roses/Cornell Ultimate discs and pinnies [reversible tank tops]. And earlier this year, we did a bake sale, but only netted a little less than $200. I think this campaign has been the biggest fundraiser we’ve ever had. CC: You’ve brought in more than $500 already through Campus Causes. How important is that money to the team? HR: Pretty important. The team decided to go to a tournament in Atlanta [this month] and everyone bought plane tickets under the assumption that they might be [partially] reimbursed. We’ve never flown to a tournament before, so it’s pretty exciting, and it offers higher-level competition than we generally find in our region. CC: So the team’s making money when people shop through the Roses’ page. Who’s doing all of that shopping? HR: It’s been the families of my teammates and my teammates themselves. We would like to reach a broader audience before the campaign ends — the team’s been a little shy about [spreading the word] — but I’m working on that now. I’m writing a Facebook post and email template to make it really easy for people to share. CC: If another group at Cornell was thinking about doing their own fundraiser through the site, what would you tell them? 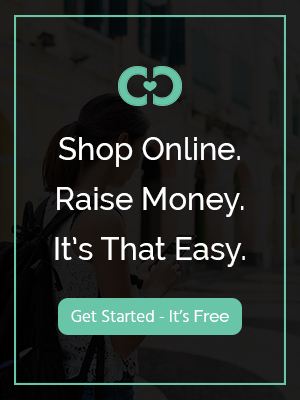 HR: It’s a great way to raise money that has the potential to cater to the interests of your members by allowing them to contribute by shopping online. It’s super easy to work with, and the customer service is great, which is so helpful for busy students like me. CC: Hannah, thanks for the great insights! Any final thoughts about your Campus Causes experience so far? HR: It has prompted us to have a lot more candid discussions about where our money goes, what we need as a team and what we can achieve by fundraising. Campus Causes is helping us realize that we really can do fundraising, that we can do it every year and that it can really make a difference.